Trainer Ciaron Maher says Global Exchange has a sense of timing heading to the Australian Derby. 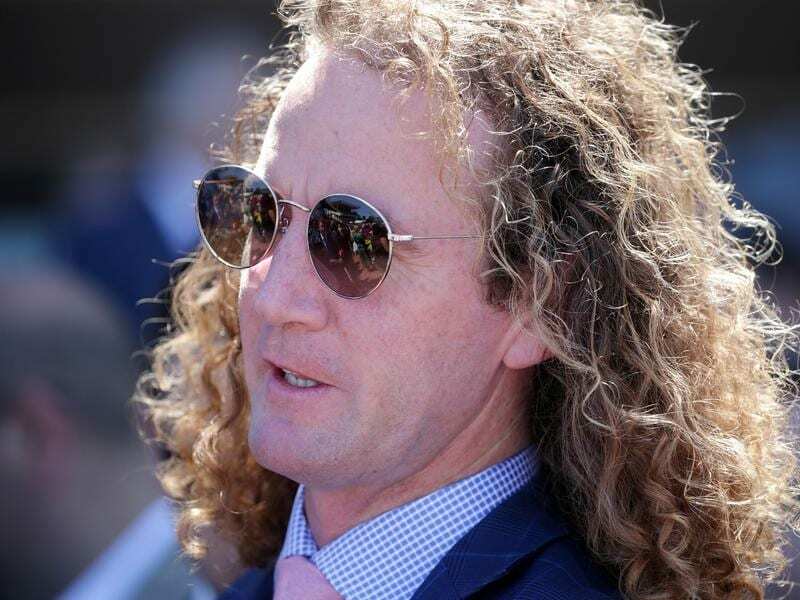 Ciaron Maher feels there is a sense of timing about Australian Derby contender Global Exchange who will be out to deliver on a long-range plan in the $2 million race at Randwick. Maher has aimed Global Exchange towards Saturday’s Australian Derby (2400m) at Randwick for some time and the colt arrives in the race off the back of an unbeaten three-run campaign in Victoria including the Group Two Autumn Classic (1800m) and Group Two Alister Clark Stakes (2040m). “It has been a targeted plan. He’s in great order,” Maher, who trains in partnership with David Eustace, said. “He travelled up well. He trialled well last week at Randwick and let down nicely. “I think he will really appreciate the mile-and-a-half and he’s got a sense of timing about him. That Derby success clinched the Sydney three-year-old triple crown for Dundeel, who raced as It’s A Dundeel in Australia for New Zealand trainer Murray Baker. “He won at Pakenham and we raised the bar and took him to Caulfield but he just showed us that day that he wasn’t quite ready,” Maher said. “So we put him away and he came back in and he’s still big and raw. I think he’ll be better again next season. “But he was good first-up despite wandering all over the track. We put the shades (blinkers) on and he was very good at Caulfield. Global Exchange had been favourite for the Derby after his Alister Clark win but is now on the fourth line of betting at $9.50. Stablemate Extra Brut is at $17 with Maher hoping the track keeps drying out for him. Extra Brut won the Victoria Derby last spring when trained by the now-disqualified Darren Weir. He has not started since his unplaced finish in the Australian Guineas (1600m) second-up just over a month ago. “Extra Brut has the run on the board at the distance. He doesn’t like wet tracks at all,” Maher said. With the scratching of filly Frankely Awesome, Arrogant shades ihs Mike Moroney-trained stablemate Chapada for Derby favouritism.